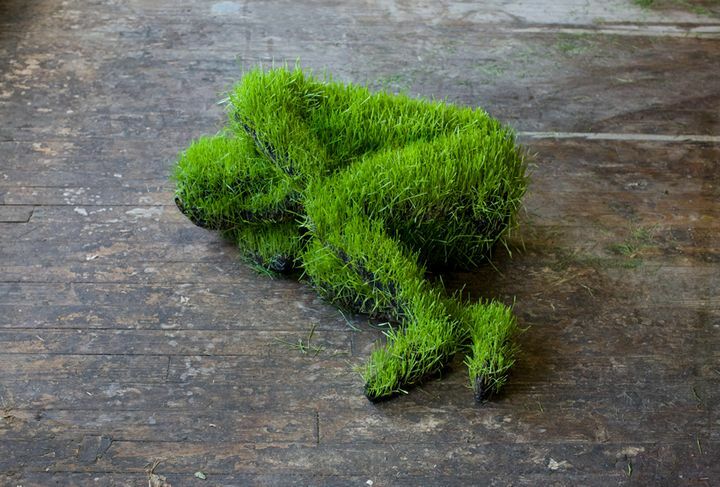 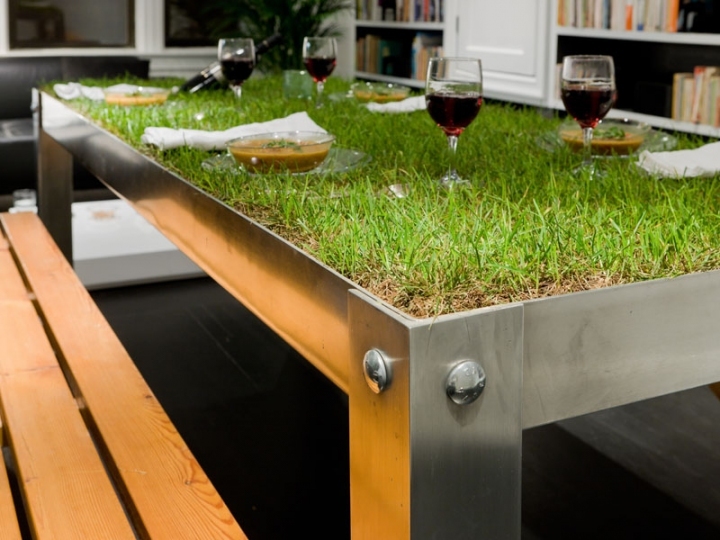 Hanging living grass sculptures is a project of the French designer Mathilde Roussel who conceived precisely sculptures of grass hung, that are alive, that is subject to the effects of time and processing, through the growth of the grass. 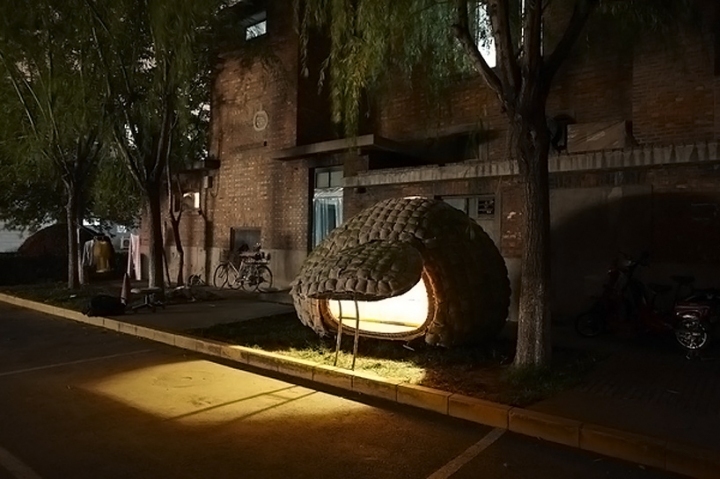 Without doubt one of the most interesting projects of the web, the mobile home shaped egg From Haifei, Is a response to soaring rents in Beijing. Haifei is a recent graduate in architecture, he has designed and lived in this temporary drive for the last two months. 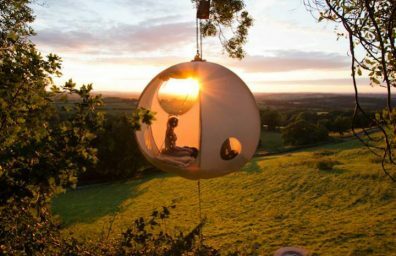 The egg, rests on the ground on wheels and is constituted by a weave of bamboo slats.